They say a picture is worth a thousand words. If that’s the case, I’ve put together a novel here. Below are my favorite ETF-related charts. While there are still a few words, the pictures tell quite a story. Enjoy! Any ETF pictorial must begin with ETF growth. 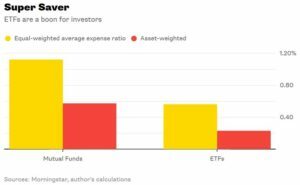 ETFs have helped lower the cost of investing. 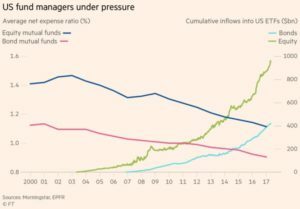 As ETFs have grown in popularity and lowered investment costs, mutual fund fees have come under pressure. 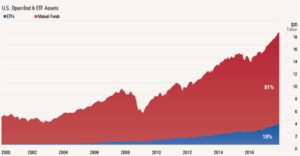 ETF growth is not simply a “fee” story, but also one of performance – or more specifically, the underperformance of actively managed mutual funds. 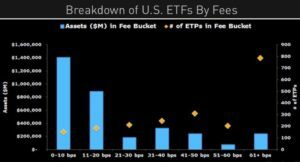 The combination of lower fees, tax efficiency, transparency, trading flexibility and active fund underperformance has fueled the rise of ETFs compared to mutual funds. 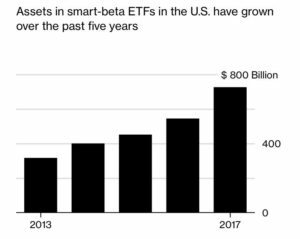 Forward-thinking asset managers have embraced ETFs, while other asset managers are still depending on an old, disrupted business model. 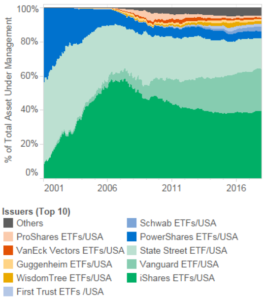 While a growing number of asset managers are embracing ETFs, the landscape is dominated by three big players: iShares, Vanguard, and StateStreet. Competition among the largest ETF providers is fierce, particularly within core asset ETFs (broad U.S. stocks, bonds, international stocks, etc.) where investors are flocking to the lowest cost products. 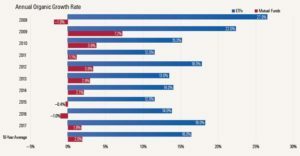 It’s not just core, low cost ETFs experiencing growth. 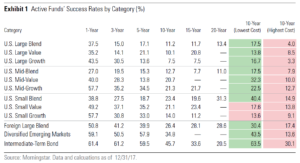 ETFs focused on alternatively weighted strategies, factors, and/or other unique methodologies are one of the fastest growing segments of ETFs. Smart beta is the automation of active management. 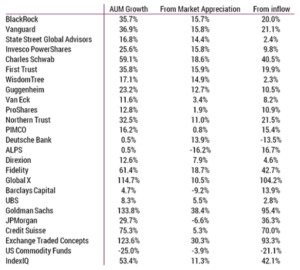 While the ETF landscape is dominated by the largest providers, there are many ETF issuers experience rapid asset growth. As ETF providers jockey for position, the aggressive competition is driving innovation. 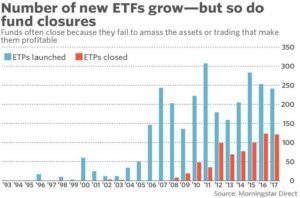 The result is a growing number of both new ETF launches and closures as providers try to determine what investors want. 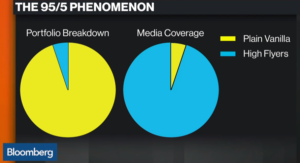 The media likes to focus on ETFs closures, but – surprise(!) – mutual funds close too. Speaking of the media, they tend to focus on ETF launches in niche areas, such as video games, blockchain, or marijuana. 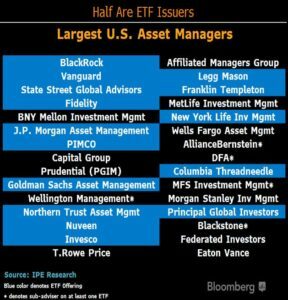 While these ETFs receive the lion’s share of media attention, they should only represent a small fraction (if any) of your portfolio. While ETF innovation has “democratized” access to institutional caliber strategies, that magnifies the importance of ETF due diligence. 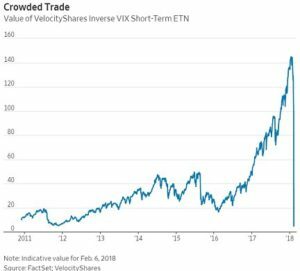 During February’s market turmoil, the VelocityShares Daily Inverse VIX Short Term ETN (XIV) went to zero. This product functioned exactly the way it was supposed to. The tradability of ETFs is sometimes portrayed as a bug, not a feature, because investors might overtrade to their detriment. 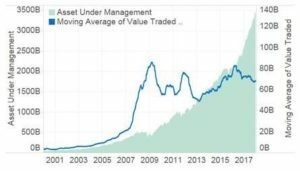 However, while ETF assets are up around 8x since 2009, the average value of ETF trading has held fairly constant, indicating newer users of ETFs tend to be longer-term investors. Millennials – known as highly educated, technologically savvy, and cost conscious – are embracing ETFs. Despite their remarkable growth, ETFs still represent only a fraction of total fund assets. 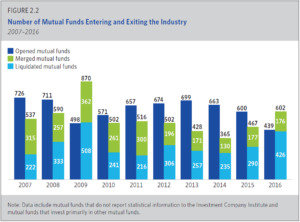 At some point in the not too distant future, ETFs are expected to surpass mutual fund assets.